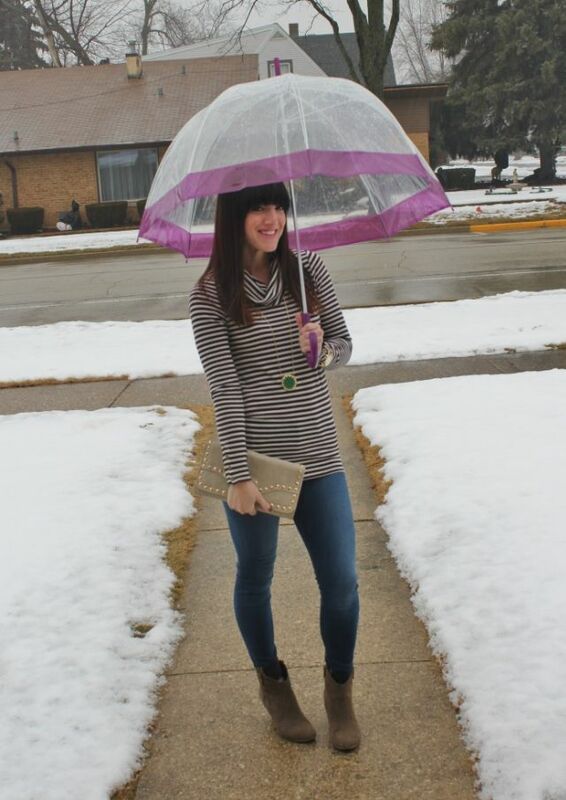 Rainy days are not my favorite, and it does make it a bit more difficult to get outdoor pictures (not to mention frizzy hair, trying to keep 2 kids dry on the way to the car, etc) ;). 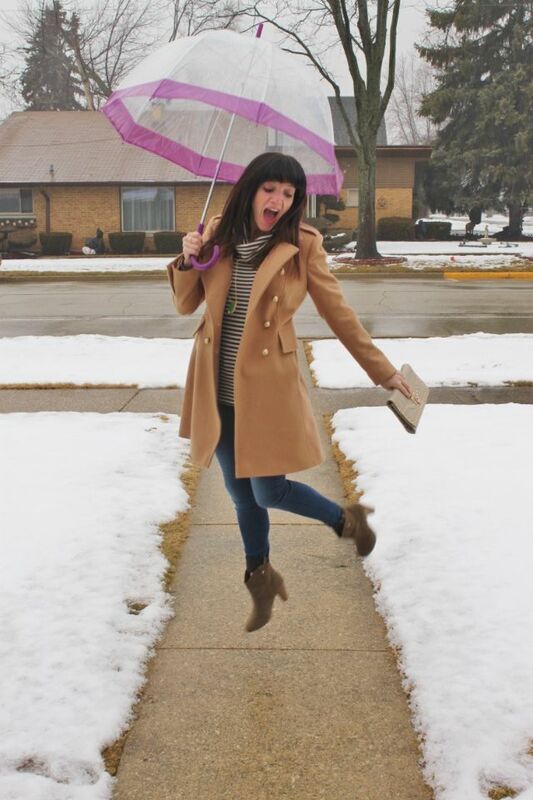 OK, you know I had to do the token umbrella jump shot right? This outfit is super casual but by adding the studded clutch, an ankle boot, and a great necklace it went from bla to fab, no? What do you think? 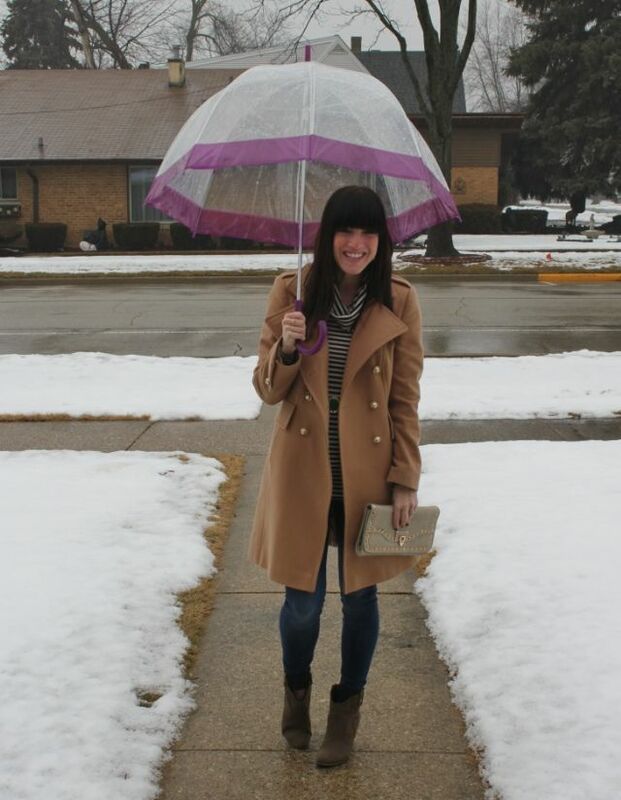 What's your go-to outfit for rainy days on the go? I'm still so obsessed with that coat. Cute and edgy look ! Well done ! the coat does it for me! i remember VS having a great selection! i still want a camel one.